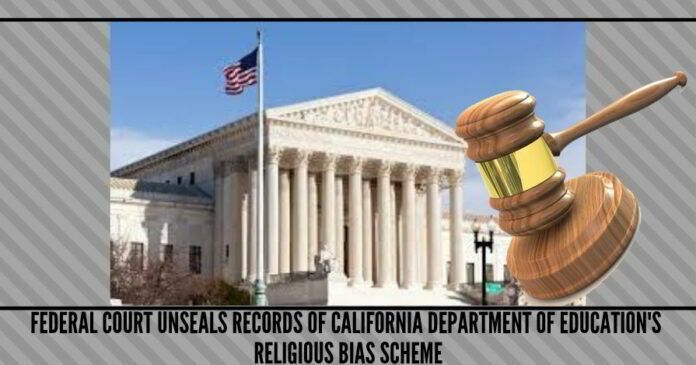 The emails had been filed under seal until Thursday when Judge Breyer agreed with the plaintiffs and ruled that neither the Regents of the University of California nor Professor Kenoyer had shown “compelling reasons” to keep the records under seal. “This is an important ruling that rejects the notion that government officials and professors can hide behind the label ‘academic freedom’ and allows all Californians to better understand how their government develops the public school curriculum,” noted Arvind Kumar, a board member of the Fremont-based CAPEEM. “Unfortunately, the emails reveal secrecy and doublespeak,” he added. Many articles are probably put in a hurry and carry grammatical mistakes including this one. A quick self check may solve many such issues. Please provide link to the unsealed documents as well.